Now that 2013 has come to an end, we have another 12 months of great mobile gaming to look forward to this year. We take a look at ten of the most anticipated iOS and Android games we can expect to see in the coming months and days. Award winning developer and publisher Telltale Games are teaming up with developers Gearbox Software and publishers 2K to unleash Tales from the Borderlands onto mobile devices. 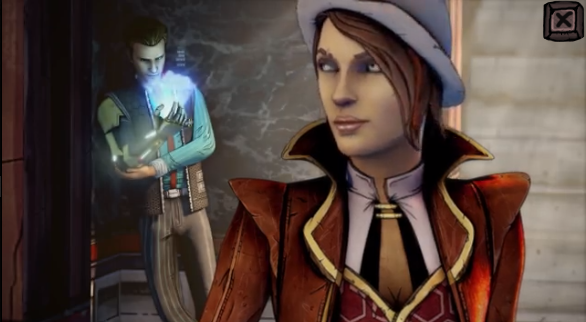 The game will expand on the characters seen from the world of Pandora (Borderlands 2) as well as introduce new characters in its story driven game play. Just Add Water’s classic shooter game brings Stranger a bounty hunter who captures outlaws to collect moolah that he needs for a mysterious surgical procedure. However, in the process, Stranger discovers that there are plenty of secrets to discover about his past and his future. 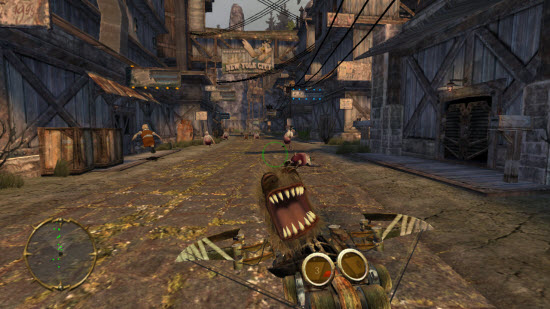 The game is expected to hit the iOS platform this year. Woo! Hoo! 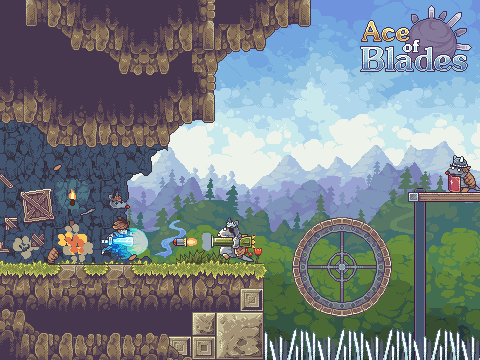 Everplay’s crazy addictive arena platformer Ace of Blades, which follows the quest of the hero to locate blades that have special powers is coming to the iOS platform this year. Gameloft’s early 2014 entry comes in the form of a World War II squad shooter game called Brothers in Arms 3. The game will be an on rails shooter but players will be able to swipe positions, which will make navigating maps a lot easier and exciting. The insanely addictive dungeon crawler Dungelot is getting a sequel this year in the form of Dungelot 2. Dungelot had a great winning formula and developers Red Winter Software look to keep that going along with some key changes such as new floor tiles with grates and levers, more character customization, and combat styles. Crescent Moon Games have a string of good looking games set for release in 2014 and one of them is Mines of Mars. This is an atmospheric mining game set in Mars where the world is proceduraly generated to give you a different playing experience every time. Players will encounter plenty of unique flora and fauna and have tons of weapons to help with the task of overcoming different enemies. There’s also a coop mode for players to go mine with like minded parties. Broken Age made a big 3 million dollar impact when Double Fine made its case on Kickstarter some years back. However, this point and click adventure ran into plenty of rough weather and after much delays and heartaches we can expect the game to land on iOS and Android in January 2014. The next installment in Gameloft’s Modern Combat franchise hit a road block and will only be seen in action in Q1 this year. Players can expect vast improvements in graphics and addition of new European locations but most details about the game are still quite sketchy. World of Tanks: Blitz, the official mobile edition of the popular PC game will be heading to iOS and Android platforms this year and will bring tanks and explosions to every tank game fans. We started this list with Telltale Game’s Tales from the Borderlands and we are going o finish off with another ambitious project from the same developers. This game is going to be based on HBO’s popular Game of Thrones series and it will be interesting to see how the developers manage to bring the series’ famed political and sexual intrigue to life on the small screen. Which game are you looking forward to play in 2014?